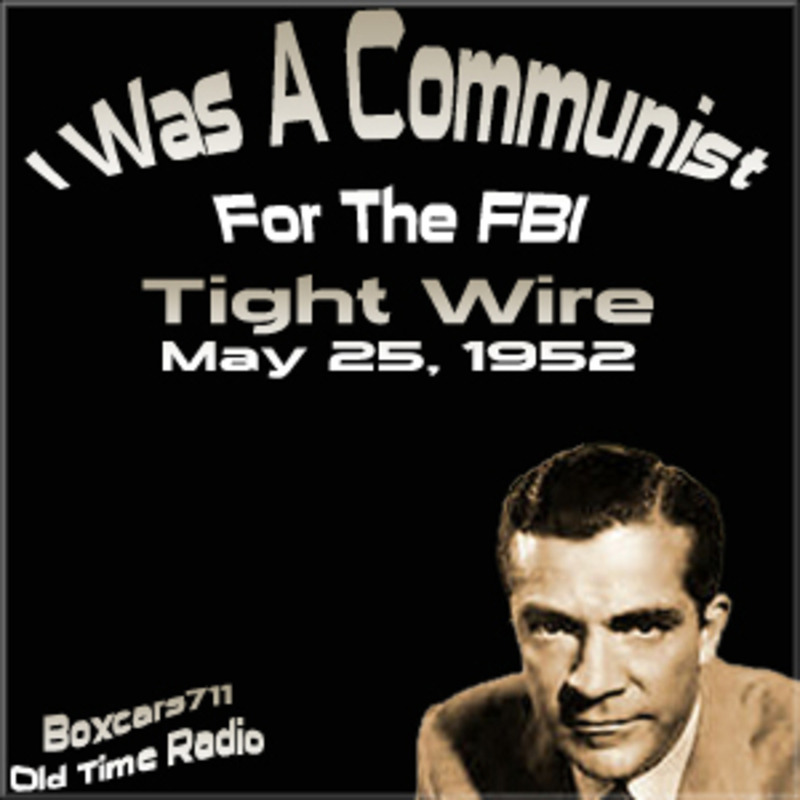 I Was a Communist for the FBI was an American espionage thriller radio series with 78 episodes syndicated by Ziv to more than 600 stations in 1952-54. Made without FBI cooperation, the series was adapted from the book by undercover agent Matt Cvetic, who was portrayed by Dana Andrews.The series was crafted to warn people about the threat of Communist subversion of American society. The tone of the show is very jingoistic and ultra-patriotic. Communists are evil incarnate and the FBI can do no wrong. As a relic of the Joe McCarthy era, this show is a time capsule of American society during the Second Red Scare. THIS EPISODE: May 25, 1952. Program #9. ZIV Syndication. "Tight Wire". Commercials added locally. The FBI assigns Cvetic the job of bugging a Communist Party meeting hall. Dana Andrews, Truman Bradley (announcer), Henry Hayward (director), David Rose (music). 25:49. Episode Notes From The Radio Gold Index. 3697 episodes available. A new episode about every 5 hours averaging 29 mins duration .